Andreas is behind the camera today performing his usual magic! Oh what a trip so far! It is day 9 and country number 4 that has opened its pretty doors to us. Good morning from Budapest, a city that is waiting to take our breath away. Today is all about exploring and indulging in Budapest. The day will unfold in the streets of flat Pest housing buildings that with great effort still cling to the once grand and glorious intricacy of the Austro-Hungarian architecture standing side by side with structures barely holding, sad and dilapidated, yet with a certain charm that makes this city so irresistible. The action will then move to the hilly and picturesque Buda that like a shy beauty is waiting to make you fall in love with it. Finally the day will culminate in one of the most memorable gastronomic adventures. Pest, Buda and gastronomy will have to wait though. The first mention of the day has to be shared between our charming courtyard and our capricious Rover. 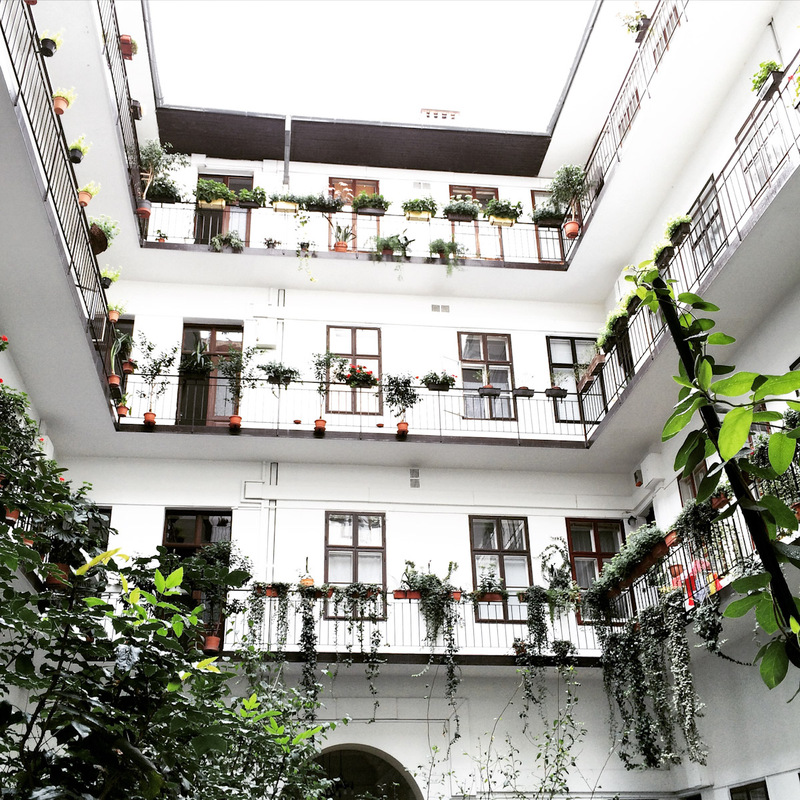 Our secret retreat in Budapest – one doesn’t need much to transform a white canvas into a beautiful painting. 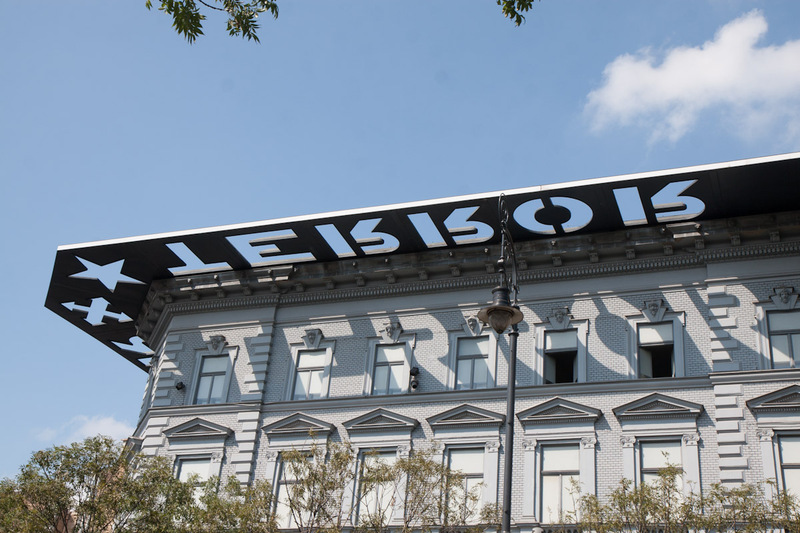 The courtyards in Budapest have quite the fame. They have to be experienced, as words cannot do them enough justice. It was a beautiful encounter as we opened our apartment door to find this fairy tale oasis. Now it is high time for another car adventure. 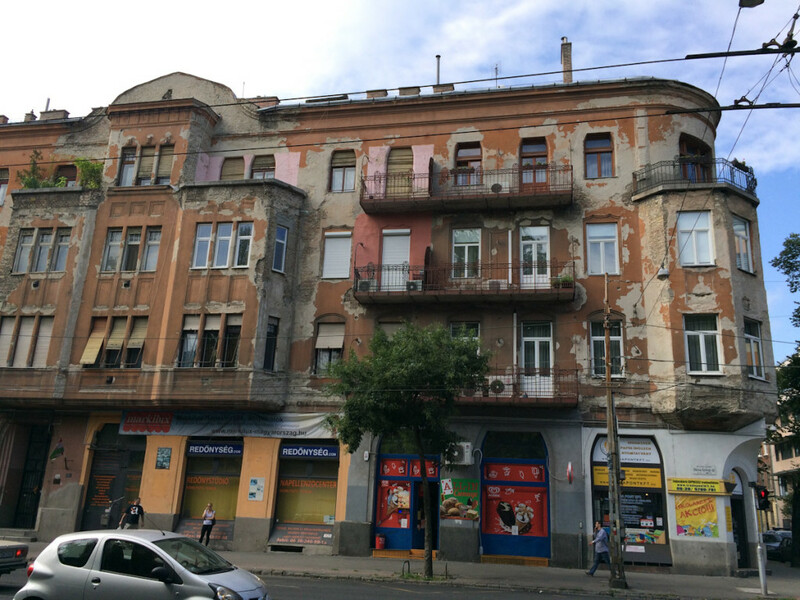 The next outburst of the capricious metal horse was a loud noise that was following us like an unbearable shadow all the way from Zlin to Budapest. Hopefully the Hungarian garages are more knowledgeable and less expensive than their Czech counterparts. Through our friends’ friends we have found a local garage. The initial inspection goes well despite our lack of Hungarian language skills. It doesn’t take them long to confirm the diagnosis. 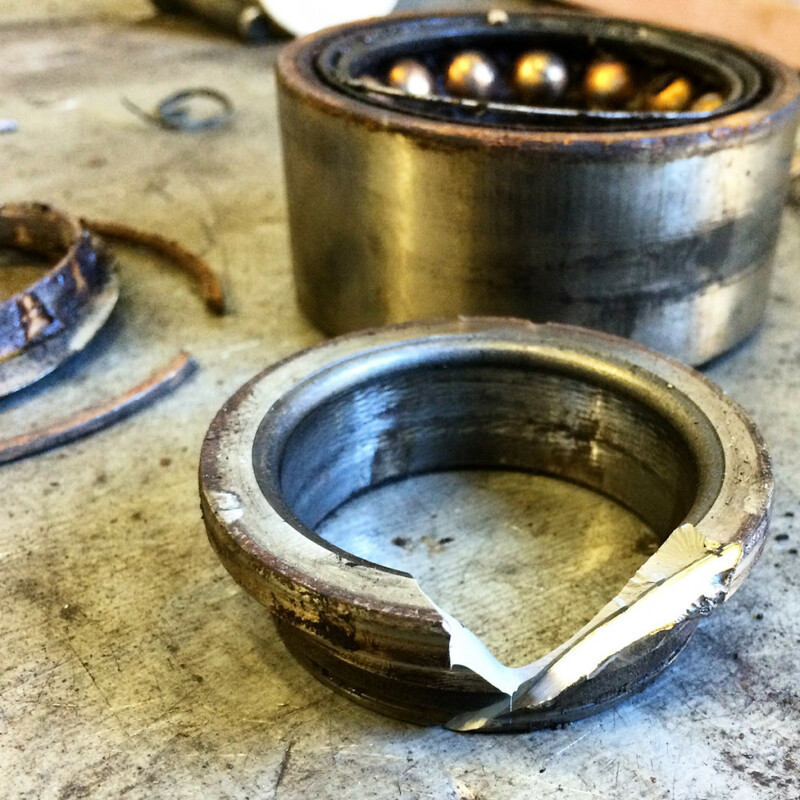 Here is the culprit – the slightly worn wheel bearing! Hands are shaken, papers are signed, keys are handed over. The car will be fixed within a few hours! A major point in the plus column for the Hungarian car people. We are free to enjoy the sun and the pleasant autumn warmth in the beautiful city. 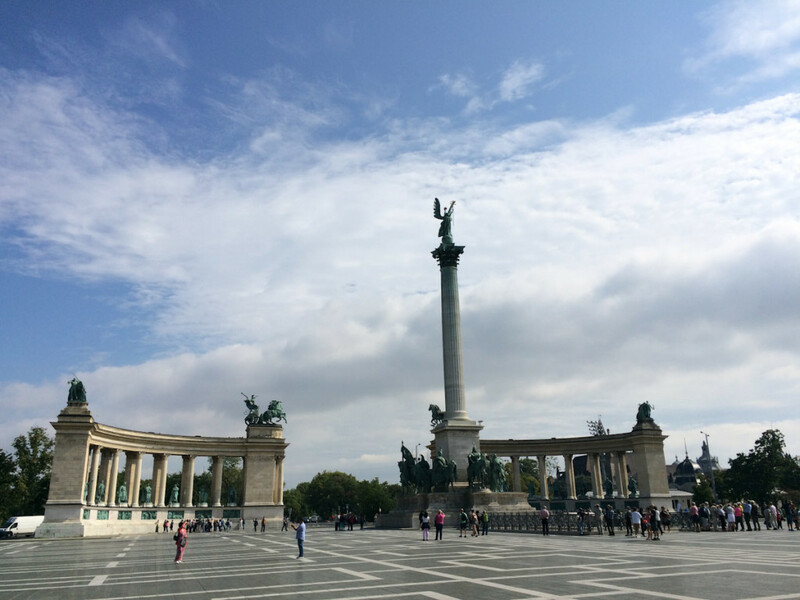 Hősök tere or Heroes Square is where we head first. 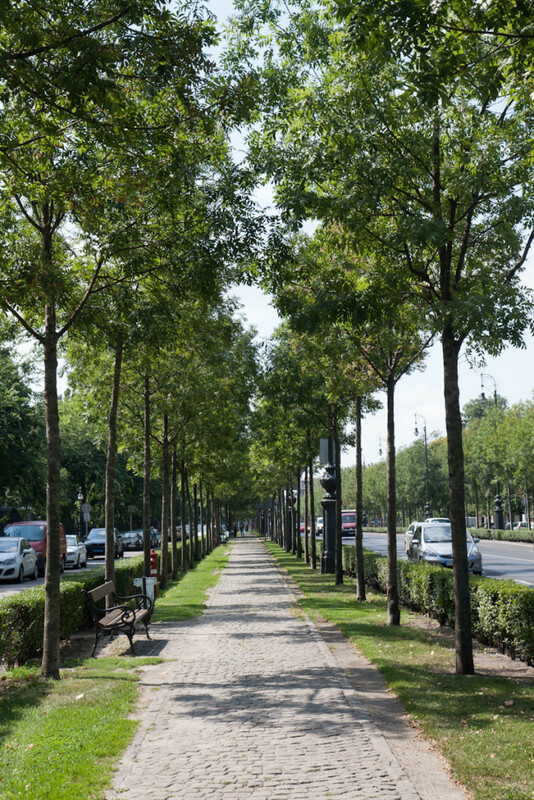 Located in the end of Andrássy út, the grand culmination of the Budapest’s answer to Champs-Élysées, we find a square that is grand and imposing. 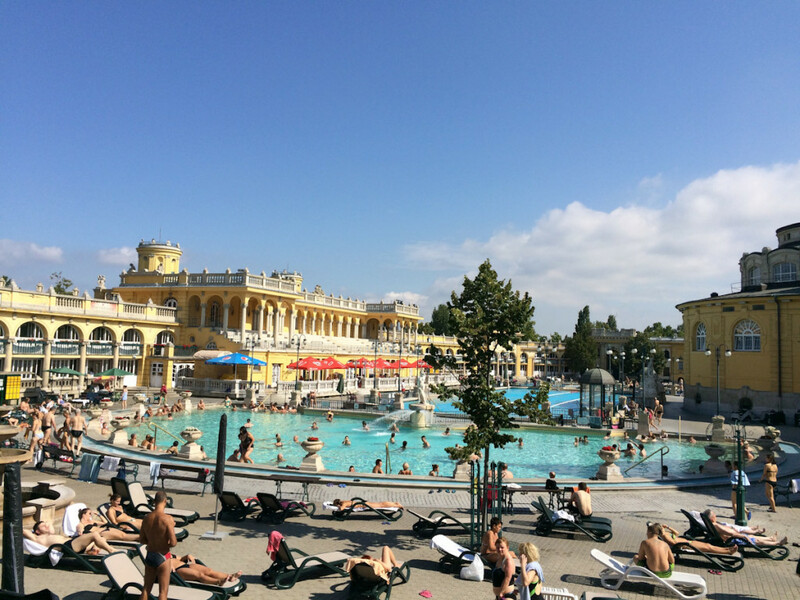 Behind the cold square in the middle of a beautiful park hides a rather hot spot – the Széchenyi Thermal Baths. Crowded – yes! it is a beloved public bath after all. Affordable – you betcha, far from the heart-pounding prices of the West and Scandinavia in particular. Rejuvenating – so they say, we didn’t have time to personally test the healing powers of Budapest’s baths this time. On our short visit our taste buds took a glorious victory over our body relaxation in a fierce battle of indulgence in Budapest. But as the Terminator said so well before us – I’ll be back! Making our way down Andrássy út, we greet the many faces of Budapest. Sometimes grandeur and imposing, sometimes dilapidated and falling apart, sometimes grand and sometimes shabby. This city has surprised and kept us in awe since the moment we pulled in. 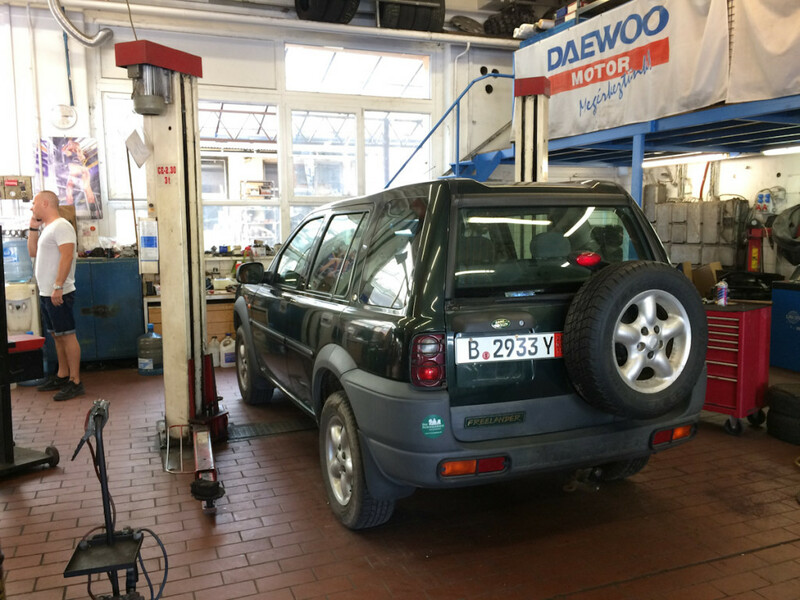 After a few hours spent on the flat lands of Pest, we head back to the car workshop to pick up our ride. As promised, the Rover is ready, shining in the sun and driving as smooth as a Bond car with no trace of the annoying noise of the past. The hills of Buda is a wonderful challenge for the car. As we cross the Chain Bridge connecting the two banks of Danube together we cannot stop feeling our newfound love for this city increasing with each hill we climb. Reaching atop the Gellert Hill we park and hurry past the crowds to the viewing platform. What awaits our gaze is simply breathtaking! 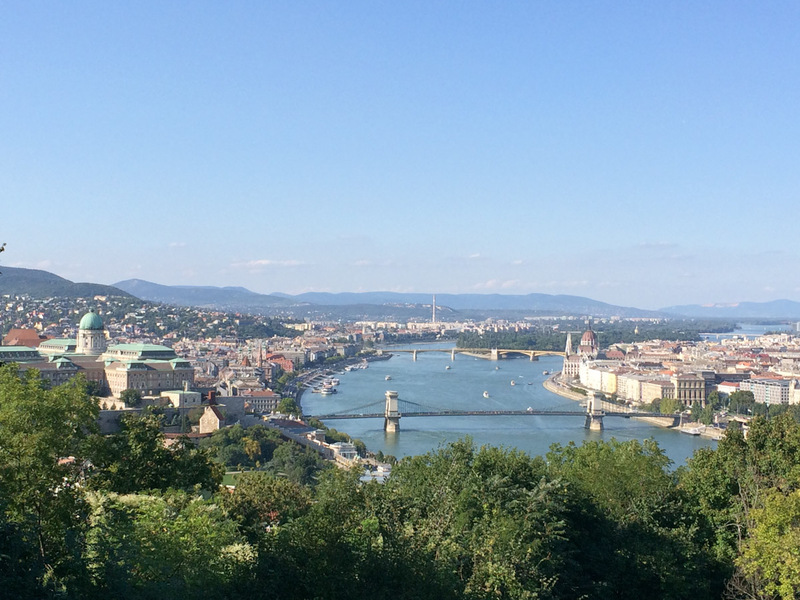 Budapest – it’s so hard to resist your charm! It is hard to leave the mesmerising view behind and descend the picturesque hills of Buda. But the scheduled time for a culinary magic was approaching fast. 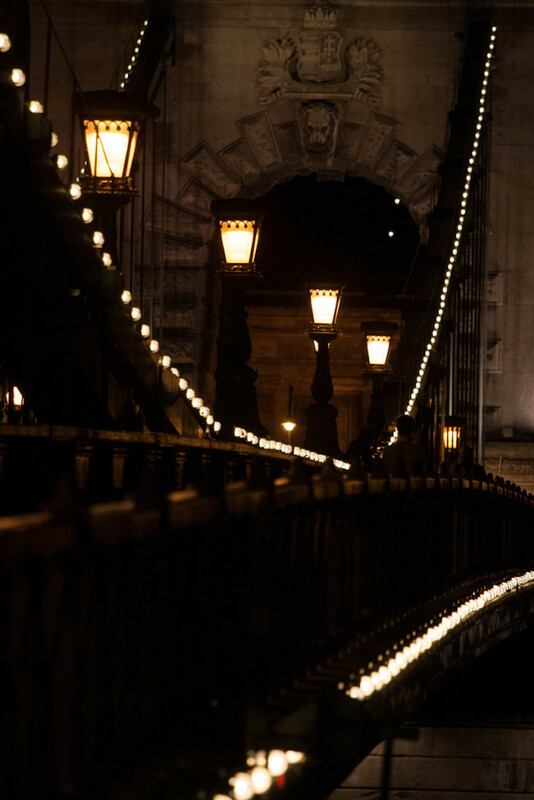 Apart from all the grandness, Budapest is also home to a number of Michelin starred restaurants. Good food is one small vice of ours. So an evening of gourmet food is what we presented to ourselves. After some quick research, we stopped our choice on Restaurant Onyx! An unforgettable evening of a 4-hour, 12-course ritual that delighted us and left our taste buds exploding in sheer joy. This place is so worth its shining Michelin! Starting with a rolling tray of at least 20 different exotic bread choices served as if each piece of bread was a precious object, followed by 12 courses of dishes that were out of this world, and as if this was not magical enough, ending the 4-hour festivity with yet another rolling tray of chocolate delights… The experience was unforgettable. 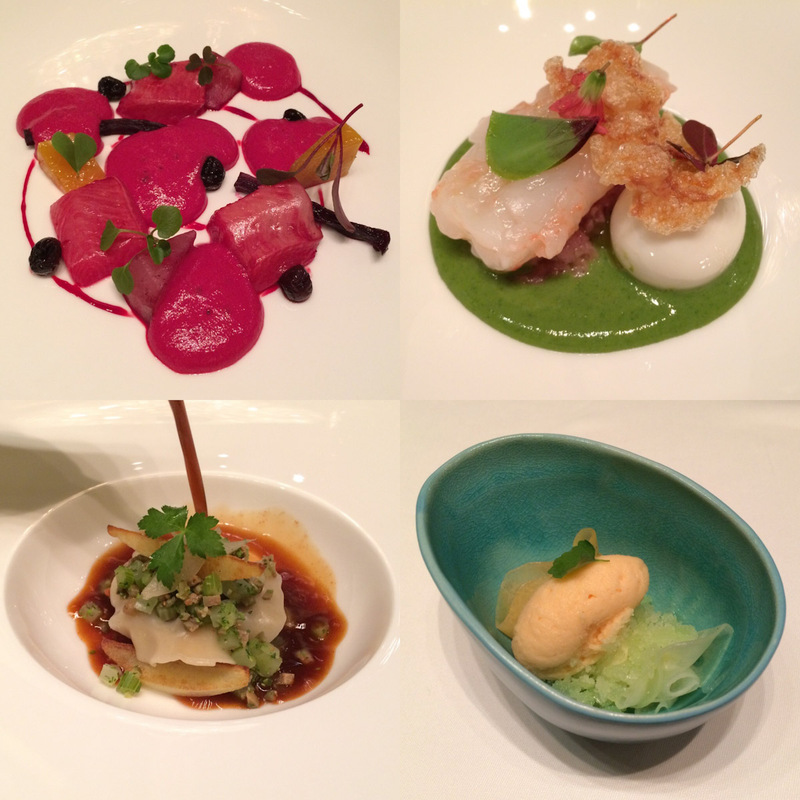 Some of the beautiful creations of the Onyx master chefs. 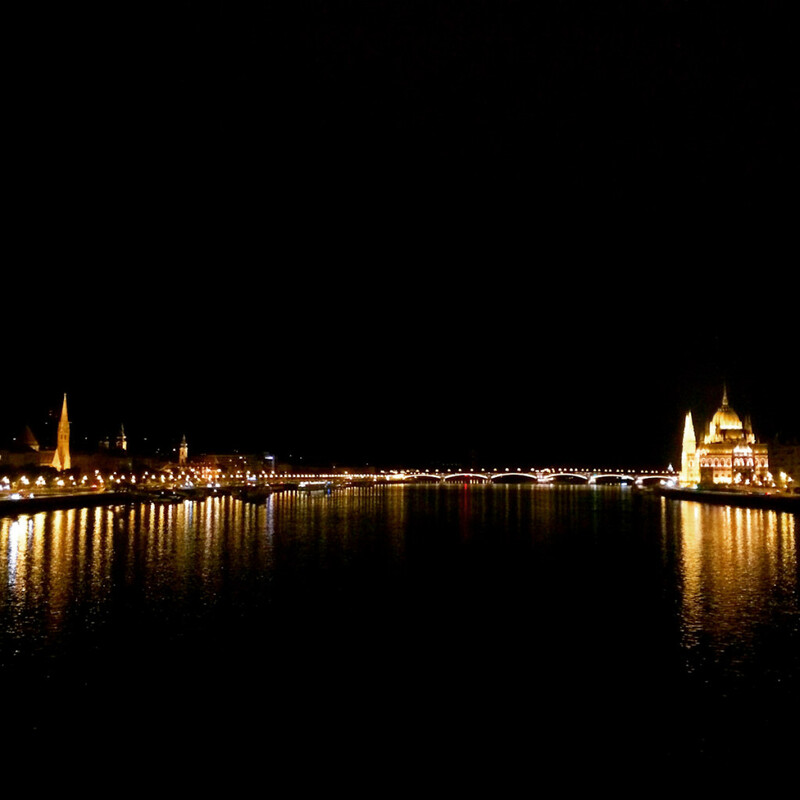 We end the evening on a romantic note, strolling the banks of Danube. This walk was as romantic as it was essential. After our tummies filled with Michelin love we needed the physical exercises to keep us from exploding. 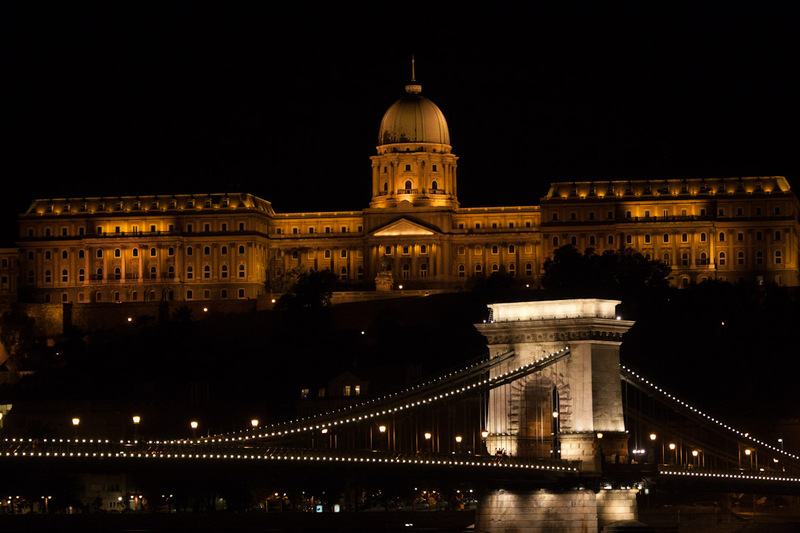 The elegant Chain Bridge linking this grand city together! 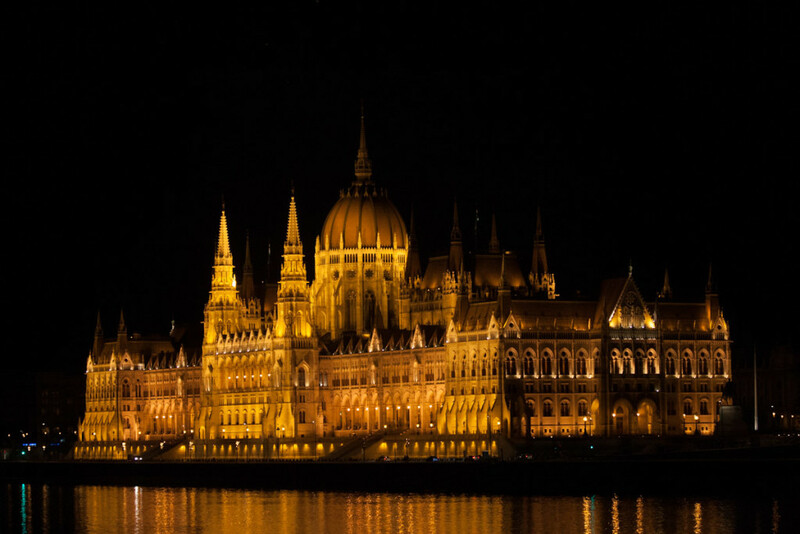 The Hungarian Parliament is mesmerising in day and night. Good night for now. 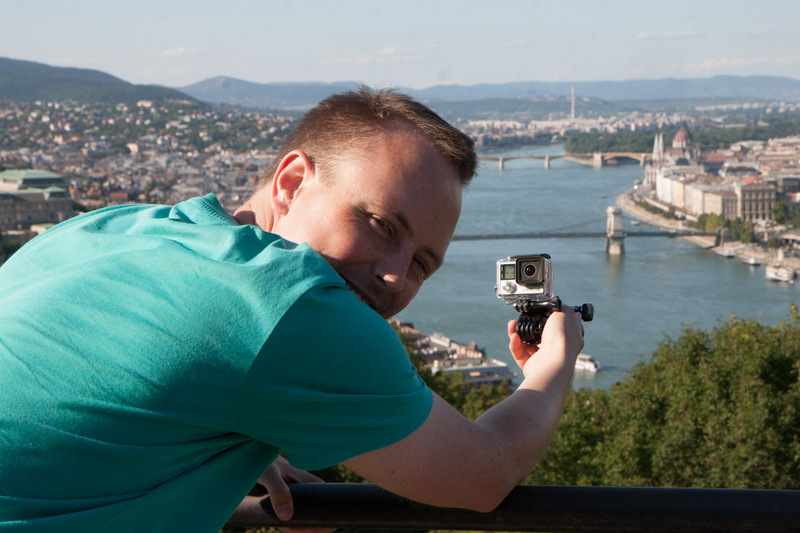 Tomorrow is our last day in pretty Budapest before the journey continues east towards country number 4 – Romania! 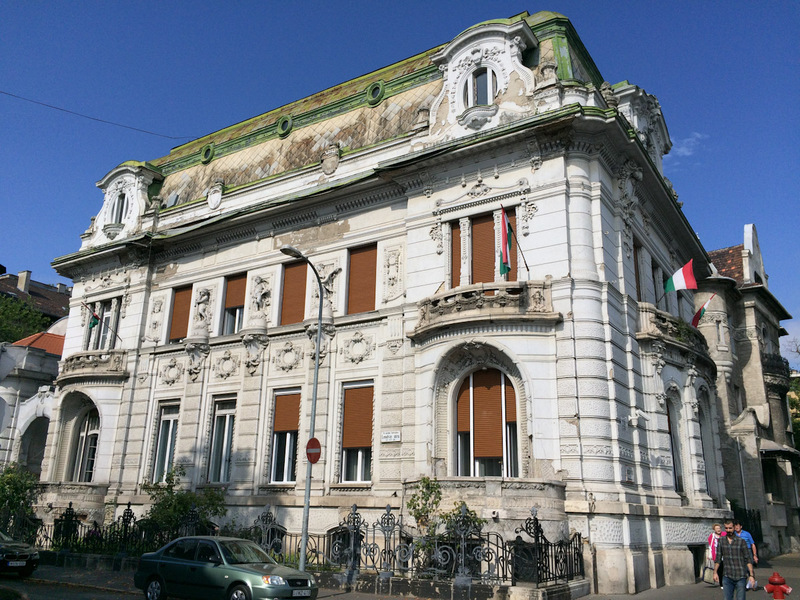 This entry was posted in AA on the road, Travel and tagged adventure, Budapest, depihayastan, eastern europe, food, Hungary, Michelin, Onyx, roadtrip, spa, thermal bath, travel by Anulik. Bookmark the permalink.